Wondering how to decorate with flowers? Decorating with flowers is the perfect idea for creating spaces full of peace and harmony. So, from Verdissimo, the leading producer of preserved plants and flowers, we want to give you a few ideas for decorating with flowers in this article. We’ll inspire you to create floral compositions, including how you can make them, which flowers and plants can be used, and much more. Decorating with bouquets never goes out of style. The bouquet below consists of red roses and tree fern. To make it, just cut the rose stems if they’re too long, as well as the tree fern. Once you have the perfect sizes, just combine them, arranging the fern so it faces outward. This bouquet is perfect for getting a boho-look with red flower decoration, since red brings color to any space. Lavender is a must-have for decorating. Just get about 130 grams of lavender and cut it so it’s about 30 cm tall. Once prepared, you should match the pot to the size of the lavender and organize it inside. Lastly, glue on each lavender branch and finish it off with a ribbon around all the lavender branches. This composition is perfect for farmhouse, country-style and rustic spaces and events. To make this composition, you can use products such as gynerium, lanuginosa and moss balls, among others. However, to make a prairie, you can use other products that you like more, as long as they fit into the rustic style. Also, you must use a planter or any rectangular-shaped pot. This type of composition is perfect for decorating rustic or country-style events or spaces. Decorating with white flowers has become a must-have for interior decorating. Here, we’ve given you an easy decorating idea. You just need white roses and a white wicker basket. With this simple composition, you can decorate those empty corners of your home or even events such as weddings, baptisms or communions. Boho decoration is defined by lots of color, so we adore bright colors in compositions, such as red, yellow, lilac, etc. In this case, we’ve chosen a simple composition with yellow flowers, strategically placed in a glass container, with decorative stones on the bottom. It’s easy to do and perfect for a side table or centerpiece, etc.! Eucalyptus is commonly used by itself in decoration. 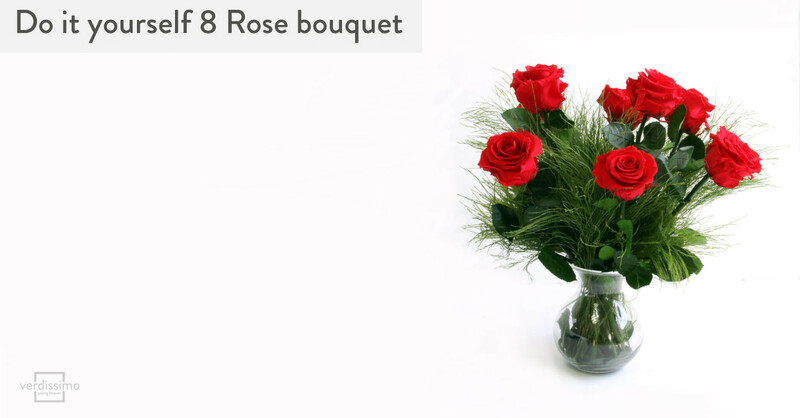 In a vase, it’s perfect for decorating different styles such as: boho, minimalist etc. Also, you can use it to give more volume to different compositions, or even to add contrast. Years ago, it was common to find flowers and plants in living rooms. However, they’re seen more and more creating harmony in other rooms, including floral compositions, trees, palm trees, etc. Nowadays, flowers have become a great idea for decorating bathrooms and kitchens, since these spaces also need harmony and peace. In the image below, we’ll show you how to use green plants in kitchens. We love it! In some decorative styles, it’s a good idea to apply Van der Rohe’s idea of “less is more,” for example in Nordic and minimalist styles. Sometimes, a little floral detail makes all the difference and it’s not necessary to use more flowers and/or plants. Below, we’ll show you an image of Nordic decoration in white tones, where you’ll see just one green detail, which captures your attention without overloading the room. One idea for decorating with flowers in this post is using shelves with plants and flowers in strategic points. We adore the combination of books and plants/flowers, since they give a fresh and much needed flair to the shelves. Also, you can use hanging products, which create a much more natural effect. Below, we’ll show you an image of a white bookcase, full of books and with small color accents… a big hit for your living room or library! Decorating with flowers isn’t limited to adding floral compositions in spaces. There are other ways to use them, for example: hanging floral print wallpaper. It’s less natural, but we adore it. We know it’s daring, but it can look great. We recommend you only use it on one wall of the room and combine it with simple furniture and soft colors. Would you dare to use floral wallpaper like the image below? Floral decoration on the floor of your home is a fairly new trend. Before, people used large flower pots with plants and flowers on patios. However, now we don’t stop seeing large flower pots inside homes, taking on new prominence in corners and central areas. As we’ve mentioned, we can decorate our spaces with more than natural flowers. There are other ideas for filling a space with color, such as: using floral wallpaper, or even floral print textiles. You can use them on cushions, rugs, Nordic pillowcases, etc. Look how great the print looks in the image below! We hope we’ve inspired you with these floral decorating ideas, from traditional decoration with preserved flowers, to ideas for arranging flowers, and even floral wallpaper. If you like these ideas and decorating with preserved flowers, start buying preserved flowers from Verdissimo and get to work.